In advance of the RHS Chelsea Flower Show, here's a taster of some fantastic new plants to look out for from two top growers - in person, if you intend visiting the Show, on television or in larger garden centres. 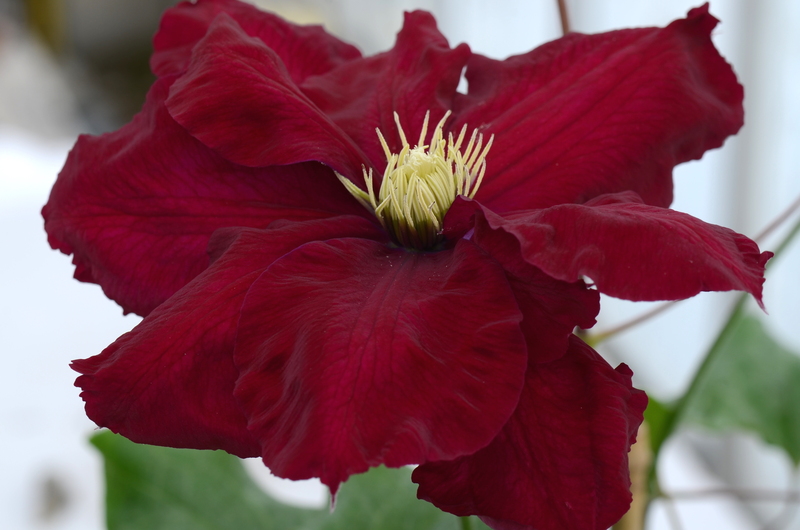 Raymond Evison Clematis are always superb plants and Raymond’s inventive displays show the plants to perfection. Last year, hanging baskets were used to show that you don’t just have to think of Clematis as plants for the wall or fence. They grow well in containers as long as you water them well - as relatives of the buttercup (which likes damp soil) they need plenty of water. ‘Sacha’ Bright deep blue flowers are produced in great abundance from early summer to autumn. Ideal for any aspect or location, this plant only grows to around 1.5m tall which makes it useful for a small garden or container. ‘Charmaine’ Stunning scarlet flowers may be single, semi-double or fully-double (at the same time on the same plant), each with a contrasting yellow centre and produced from early summer to early autumn. Ideal for any aspect except north-facing, but the weight of the double flowers mean it is best grown through other wall-trained shrubs for support and protection. Reaches 2m and should be pruned to reduce all growth by one third in late winter or early spring. 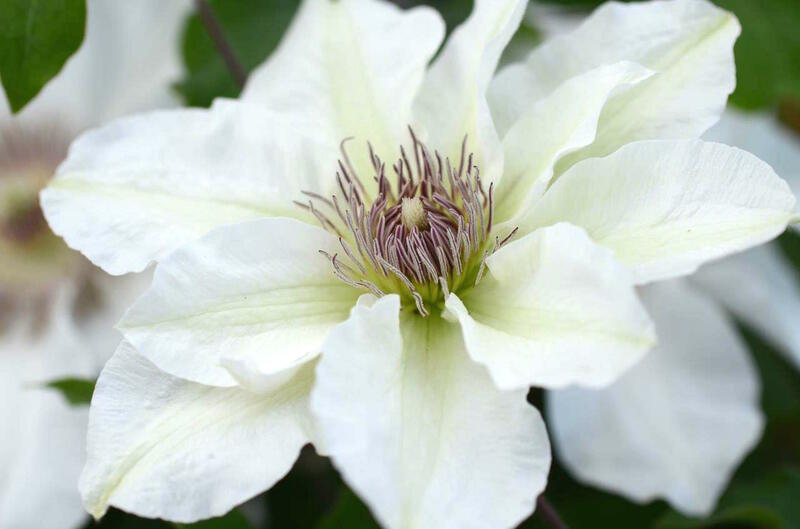 ‘Kitty’ A charming compact clematis that only grows to about 90cm. The creamy-white flowers have a pinkish-brown centre and are only 9cm in diameter, but are produced from early summer to autumn. It's tight and compact habit makes it ideal for growing in a container for the patio or even on a balcony in a window box. When you buy a plant of ‘Kitty’ you are contributing to the vital and important work of Anthony Nolan, an organisation that saves lives of people with blood cancer and blood disorders. ‘Kitty’ is named in honour of an inspirational young woman who was diagnosed with a rare form of Leukaemia when she was 14 years old. The work of Anthony Nolan helped save her life. Raymond Evison Clematis will gift a percentage of their royalties from ‘Kitty’ to Anthony Nolan to help the charity to continue with its important and urgent work. 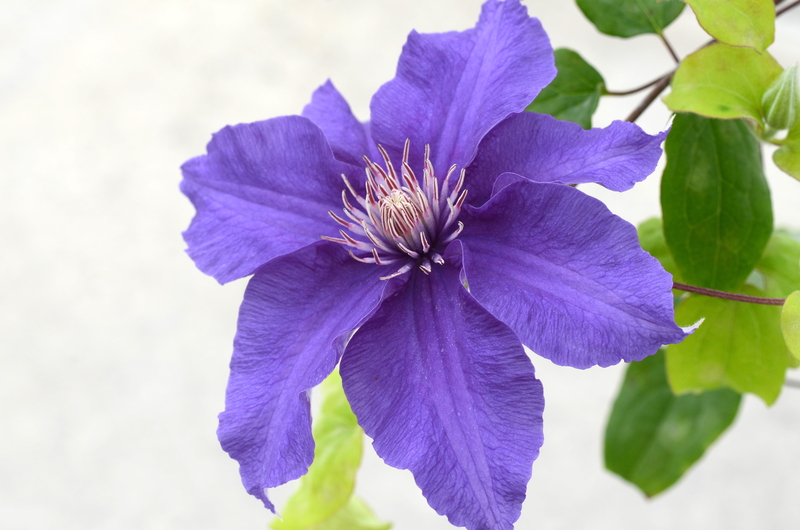 Visit www.raymondevisonclematis.com for more information. David Austin Roses are world-famous for their glorious colour and fragrance, and new introductions are eagerly awaited. 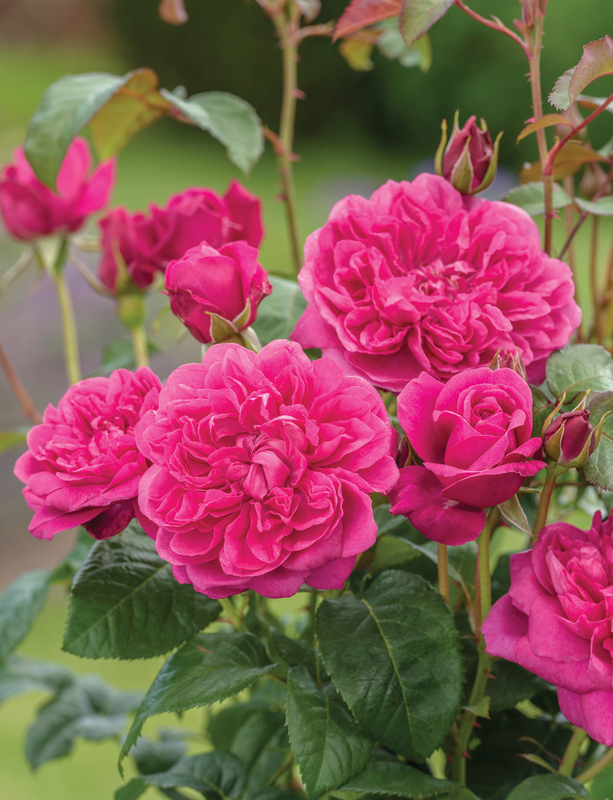 This year, there are three new roses being launched at Chelsea. 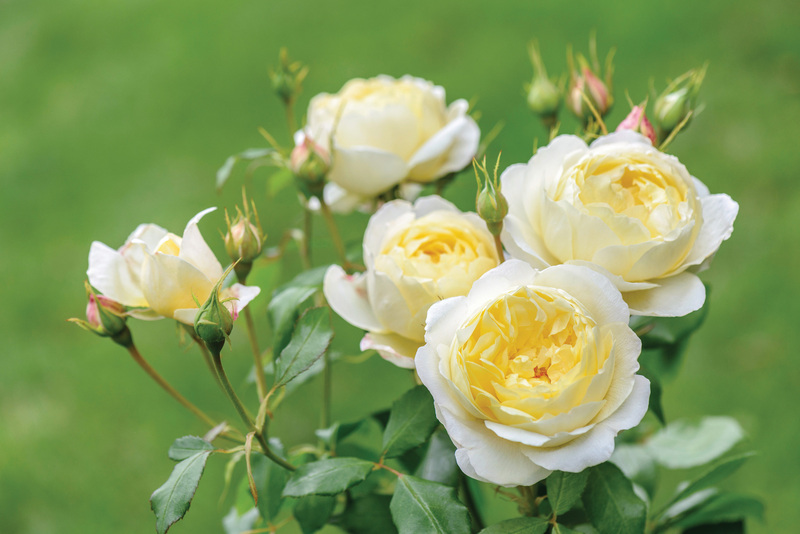 ‘Vanessa Bell’ The soft yellow blooms of this rose are produced in large clusters almost continuously throughout the summer months. The fragrance is medium-strong and the plant forms a short, bushy and upright shrub that is ideal in the border or as a hedge. Height 1.2m Named for the artist and founding member of the Bloomsbury Group, 10% from the sale of each rose will be donated to The Charleston Trust - Charleston, the home of Vanessa Bell, is managed and conserved by the charity for the benefit of the public. ‘James L. Austin’ The large, deep cerise-pink blooms of this rose are produced prolifically from early summer until the first frosts of autumn and withstand bad weather. The fragrance is medium-strong and this verstile plant forms a neat, tidy shrub with a bushy upright habit. 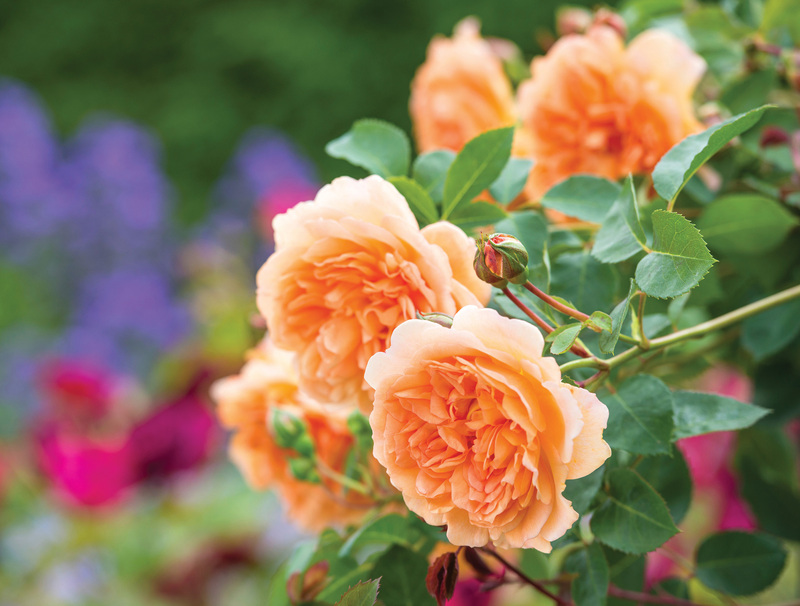 Named for the son of David Austin Senior and brother of David Austin Junior, 10% from the sale of each rose will be donated to two Parkinson’s charities: Parkinson’s UK and Cure Parkinson’s Trust. These new English Roses will be available to order as bare roots or in pots after their launch at the RHS Chelsea Flower Show. Visit www.davidaustinroses.com for more information or speak to a member of the rose team on 01902 376300.